Julie and I have had our RV now for just about a year. One of the things that has driven me insane, and I suspect others as well is getting the proper settings on your Winegard Dome for DISH network. What most RV dealers don’t know is there is multiple settings on the unit. You also may need to CHANGE those settings depending on where you are travelling to. This is assuming you are not using a tri-pod setup, but what I am going to explain will apply either way. I will be referencing items from This Document as well. I’ve been meaning to document this for my own purposes and to help out others. 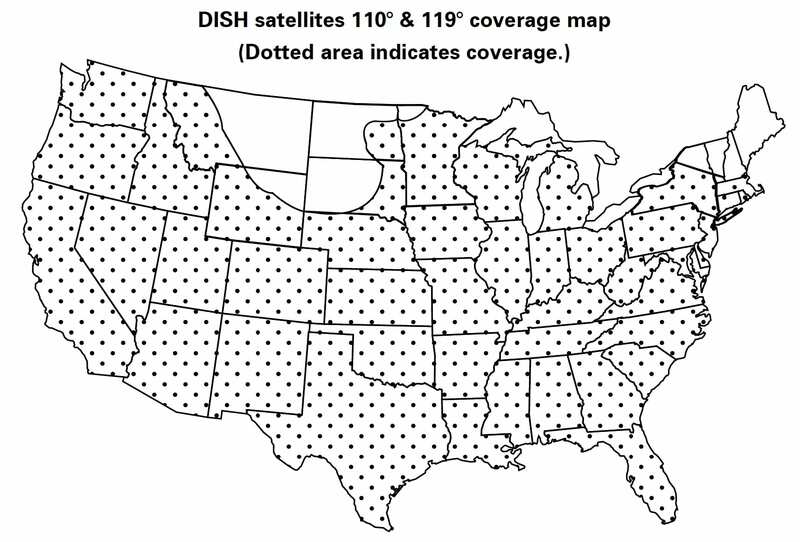 The other challenge in the Northeastern US is that the 110 and 119 locations are not even available as you can see from the map below. Notice parts of New England are not even covered? By the same token this map shows you the coverage of the 61.5 and 129 locations. what some people may or may not know is your dome has a bank of Dip switches. Now to make things MORE confusing, the documentation from WinegardWinegard does not do a good job explaining things. Below is the THREE settings you can make on your dome depending on the combination you want. 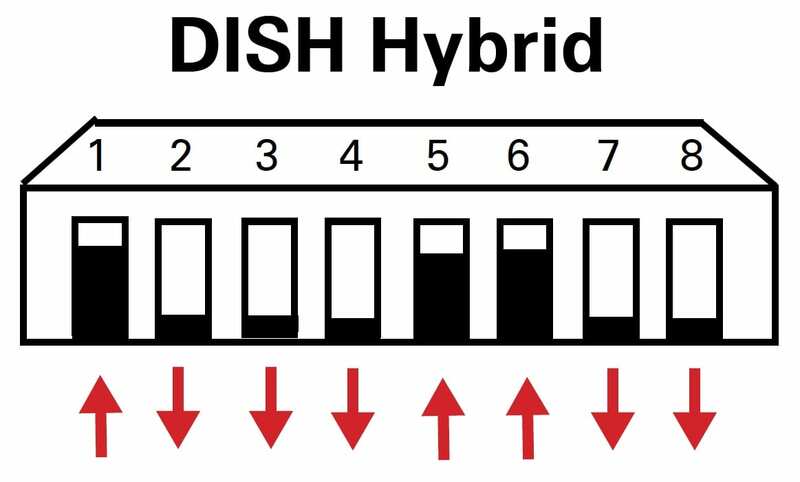 You will notice there is a “Hybrid” setting if you decide you need it. The documentation NEVER refers to the DISH Western ARC, most dealers just set your dome to the “DISH” setting which is in fact the Western Arc. I figured this out when I bought my RV in New Hampshire and could not get programming. 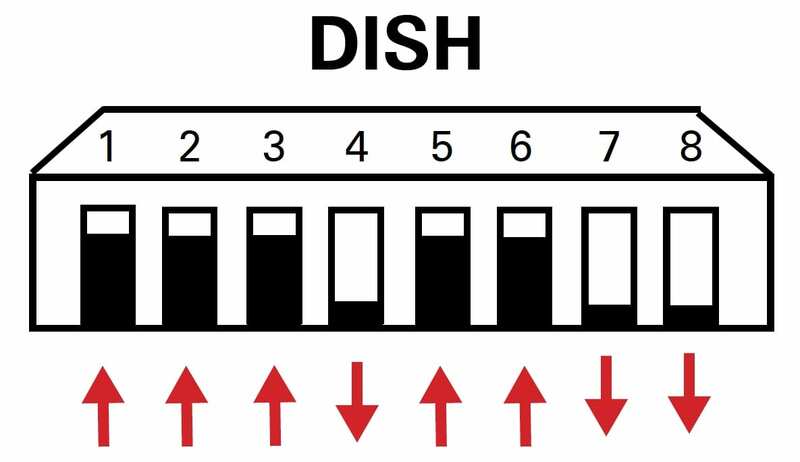 What DISH Network Setting Do I Use?! Well that is the whole point of this post is that it depends. Some local programming is on the 61.5 and some is on the 129. The 110/119 and 72/77 pretty much duplicate the same programming so it comes down to locals. That being said….if you travel you will not have access to your home locals. 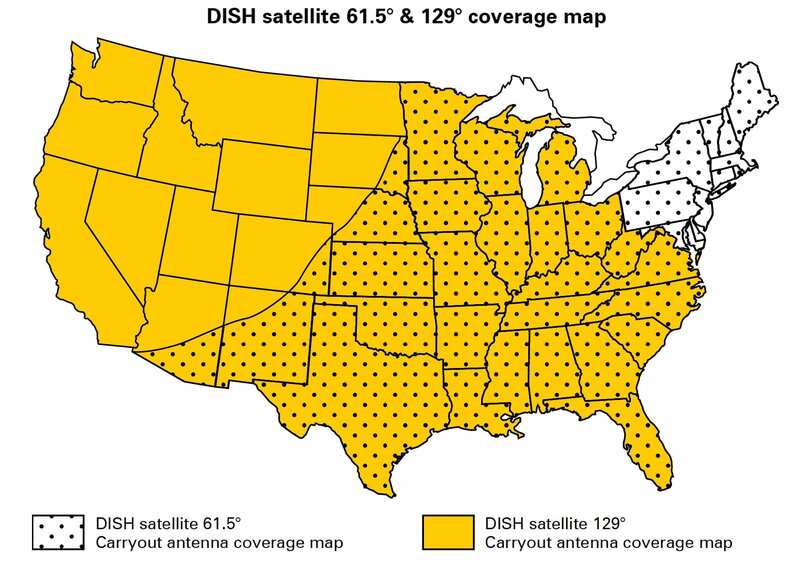 In order to get any local programming you need to call DISH and update your location while you are there to get those locals. Based on that you need to ask them which locations those locals are on! The upside here is you get three options. 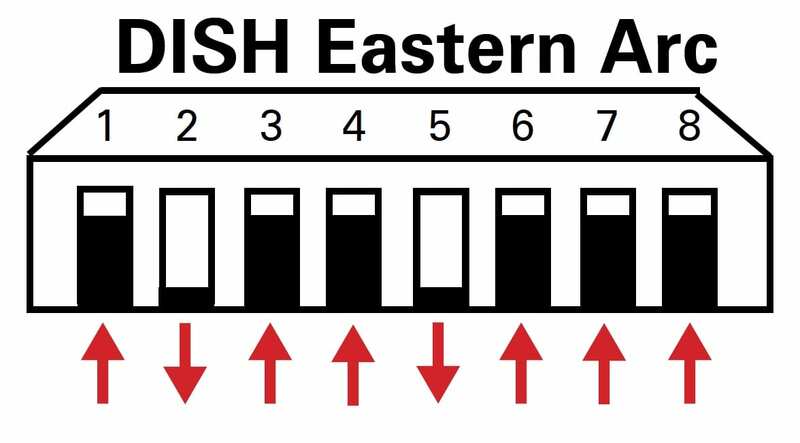 Unless you are in the extreme northeast based on the 110/119 coverage map you are probably “okay” with the Western Arc settings or even the hybrid option which gives you some Northeast Coverage. The real challenge is knowing what channels in your programming options are on what locations. I found this page that you want to bookmark so if ever there is a question you can figure it out. All this still applies to your Tri-Pod setup as well the only difference is you have only two options and combinations to choose from. I travel with both setups just in case. I have been in areas where tree cover prohibits the use of the dome. Either way, if you find you are not getting DISH Network channels on your Winegard dome I hope this helps! Great info!!!! Thanks so much for putting this together! !